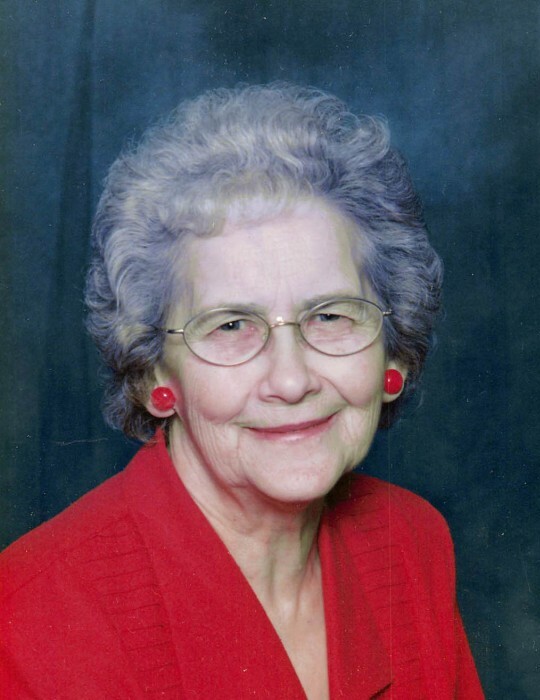 LaVonne Irene Kawlewski, 86, breathed her last peaceful breath, surrounded by family, in her home, on Friday, March 15, 2019. She suffered for most of her life with multiple medical conditions but through it all she kept a beautiful smile on her face. She had great faith! LaVonne was born January 4, 1933 in Gorman Township to John and Loraine Kunza. She was the oldest girl from a family of nine. LaVonne married Oscar James Kawlewski October 17, 1951; celebrating 68 years together. Their exemplar love will be their legacy. Together they had eight children who will always remember their mother as kind, gentle and ever loving. She always made sure that everyone had something to eat. No one ever left hungry with her wonderful cooking and baking. She also loved gardening, garage sales and her store, appropriately named Granny’s Country Store. Sewing crafts and doll clothes, however, was her passion. Even after her first leg amputation she kept her machine humming. She never ever gave up on anything! LaVonne took pride in her 55 grandchildren and 91 great-grandchildren. LaVonne is survived by her husband Oscar; her children Sally (James) Lawien, Larry (Eileen Kusick), Terry (Debbie), Joan Nelson, Therese (Joe) Lachowitzer, Tom (Lori), Barb (Dean) Pearson and Geralyn Lindberg; two brothers John (Donna) Kunza and Jerome (Judy) Kunza and two sisters Margaret Bouten and Geromaine (Fred) Huebsch. LaVonne was preceded in death by her parents; three brothers Jim, Bernard, Donny; her sister Eleanor Waldorf; and two grandchildren Jared Kawlewski and Tanya Sazama. Visitation will be from 5:00-8:00 p.m. with parish prayers at 7:00 on Wednesday, March 20 at Schoeneberger Funeral & Cremation Service in Perham, MN. Visitation will resume from 10:30-11:30 a.m. followed by the funeral Mass at 11:30 on Thursday, March 21 at St. Henry’s Catholic Church in Perham. Burial will be in St. Lawrence Catholic Church Cemetery near Perham.